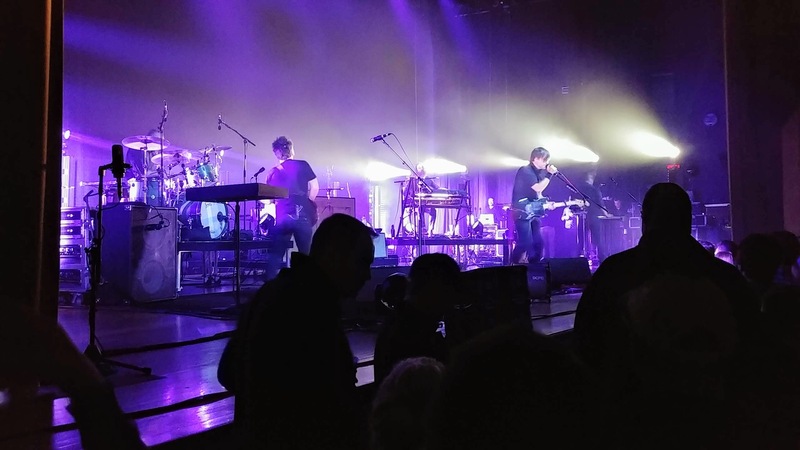 Last night, I saw one of the most disappointing rock concerts I have ever attended: Death Cab for Cutie (DCFC) touring in support of their new album “Thank You For Today” at Nashville’s Ryman Auditorium. Some of the problems had to do with Ben Gibbard, the brains behind the band. Other problems were created by members of the audience. The opening act, My Brightest Diamond, was amazing, energetic, enthused, and mesmerizing. I intend to investigate their recorded work soon. A young woman in the pew in front of me misbehaved terribly throughout the show. Security personnel intervened three times in her bad behavior. She kept dancing closer and closer to the stage, culminating in her using the stage as a coaster for her drink while she attempted to slither up onto the stage with the band. By the time the show ended, she was lying drunk on the floor. I felt sorry for the young man accompanying her, who had to help her get on her feet to leave. I felt sorry for her, too, because she was old enough to know better and clearly has some personal demons to battle. The young woman to my right seemed to have no sense of personal space. She kept bumping into me as she swayed to the music. I kept drifting away to avoid contact and eventually created sufficient distance that I was out of range. When I would occasionally sit, I lived in constant fear that she would elbow me in the eye. The smell of her poor-quality beer didn’t help the situation. While it is true the band performed impeccably, covering a range of songs going as far back as “Styrofoam Plates” as well as tunes from “Thank You For Today”, I sensed that Mr. Gibbard was done with the whole “being on stage that night” business and wanted it to be over as soon as possible. He seemed irritated and angry. The rest of the band seemed happy enough to be getting paid to play music. They were energetic and enthused. Not Mr. Gibbard. With the exception of the occasional “Thank you very much!” between songs, Mr. Gibbard’s audience interaction was minimal and almost invariably downbeat. There were perhaps three instances where he spoke directly to the crowd, always terse, always acerbic. In introducing “Gold Rush” he stated that he’d heard Amazon was going to open an office in Nashville and so here’s a song about what we’re about to experience. Except we’re already there and have been for some time. 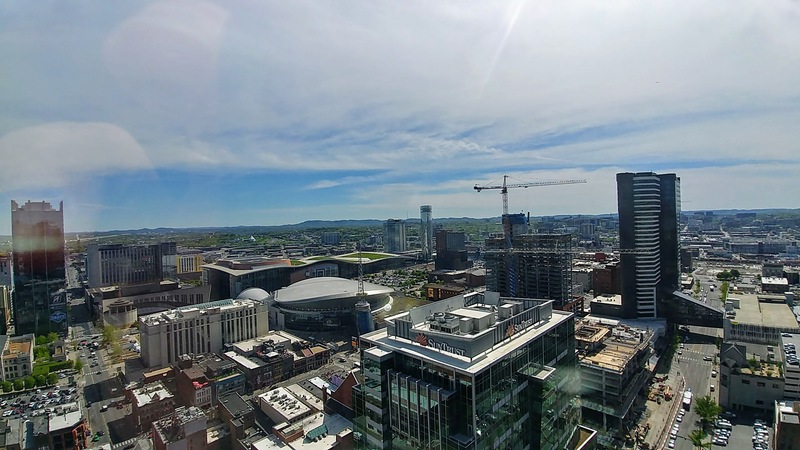 When I look out my downtown workspace’s 22nd floor window, I count 15 cranes, none of which are at Nashville Yards. They haven’t gotten far enough with demolition to erect cranes in that future Amazon space. We’re already tearing everything down to put up new buildings “where their cars can live underground” as the song says. I love pretty much the whole of “Thank You For Today”, especially “Gold Rush”, but Mr. Gibbard could have chosen any number of ways to introduce that song besides condescending bitterness. In another audience interaction, upon hearing someone shout a song request, Mr. Gibbard stated in a humorless fashion that he wouldn’t give in to what he called Playlist Terrorism. I’ll admit that’s an amusing turn of phrase, but to basically tell the audience, “We’ve got our playlist and we’re not going to change it no matter what you want to hear” is obnoxious. A better approach would have been to say, “Yeah, thank you, glad you like that song. We’ll see if we can get to it tonight.” Even completely ignoring the slightly rude shouted request would have also been a kinder strategy. Then there’s the fact that someone loves a song you’ve written enough to ask for it, which is not altogether a bad thing, however badly presented. Maybe he was just having a bad day. Maybe this is what all DCFC concerts are like and that’s exactly what their long-term fans want. It didn’t set well with me, though. I freely confess this next item is a pure matter of taste: When I go to a concert, I want to be surprised. I want the live version of a song to be different from the version on the album, if only by a little. If I attend a concert where the band merely replicates their songs as recorded, I’m going to be disappointed. With only a couple of counterexamples, those being songs where they changed the intros a little bit, everything DCFC played was a note-for-note copy of the songs as they were originally released. Having spent a long time as a semi-pro musician, I can tell you that it would have bored me to tears to get up on stage night after night and play exactly the same thing exactly the same way. This, combined with the fact that several popular DCFC songs are triple their optimal length (because of unnecessary, extended repetition) meant I found big chunks of the show challenging to endure — I’m looking at you, “I Will Possess Your Heart”. I feel sympathy for the bass player every time I hear this song, even though I love it, because he’s playing the same line over and over for far too long. This being my first DCFC show, I don’t know if this is typical for them but these aspects made for a less than great experience. Other shows I offer as contrast, where the bands were enthused, engaged, changed up the arrangements to make the show more interesting, and enjoyed great rapport with the audience would be Chvrches, They Might Be Giants, VNV Nation, and Silversun Pickups (new album coming out in June!) — all shows I’ve enjoyed tremendously. Is this typical of DCFC? What are your expectations when you go to a concert? Let me know in the comments below! April 16, 2019 in Music, Musings.